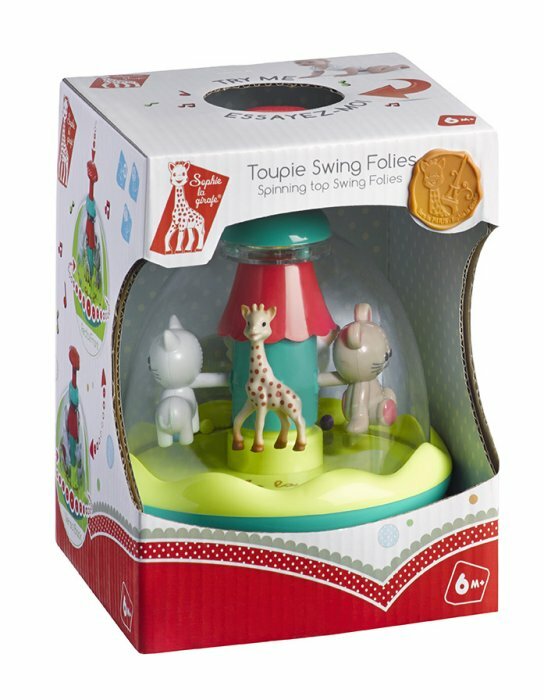 This spinning top wobbles but won't fall over and will entertain Baby from the earliest age. Easy to take in hand, baby plays with this router and discovers Sophie the Giraffe and his friends swirling. 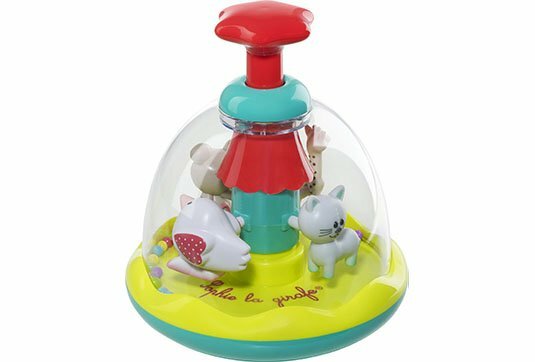 A handy feature of this spinning top is that it is fully mechanical and does not require batteries.